The household sprays comprise of spray cleaners and air fresheners. These materials often use strong ingredients. The strong ingredients may cause asthma in some adults. It is rather the most common source of asthma attack. Recent studies show that the chances of an asthma attack increase by 30% to 50 % with the use of household sprays. 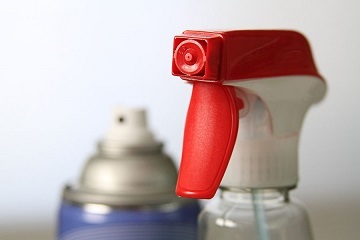 The sprays such as glass cleaners, furniture sprays and air fresheners spread small particles in the air. These are inhaled very easily. Some of the ingredients in the sprays cause irritation. These ingredients are responsible for infections inside the lungs and the respiratory pipe can constricts due to this. This leaves the patient short of breath. Some patients may feel chest pain, throat irritation, coughing and wheezing. If the patient is suffering from asthma, then a household spray can easily trigger the asthma attack. The small particles enter ones lungs and respiratory system which cause basic symptoms of asthma. The patient starts feeling short of breath, as his respiratory system start contracting. Coughing may start due to irritation in the throat and lungs. The household sprays comprise of a wide range of materials. These are inclusive of hair sprays, air fresheners, spray cleaners and plant sprays. These sprays may contain chemicals that are harmful to the asthma patient. One can avoid these harmful sprays by using substitutes instead of these sprays. Some of the hardwood cleaners such as Easy Off can trigger an asthma attack instantly as it contains higher levels of ammonia. Instead of spray hardwood cleaners, use liquid cleaners. Studies have shown that liquid cleaners have no effect on the respiratory system. Using eco friendly cleaners is another option. There are several manufacturers which produce organic cleaners. These do not contain harmful and strong chemicals. These are available in the form of fluids or dry powders. 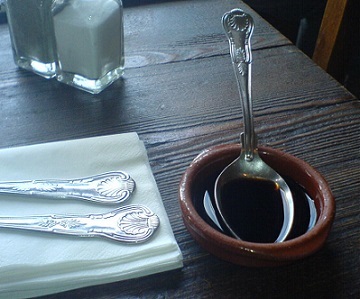 The powders are added in water to make think pastes or solutions. Such solutions are safer than spray cleaners. Make use of bleaches as much possible. However the bleach should be chosen according to the furniture type. Some of the strong bleaches can harm the wooden furniture when used for cleaning. For cleaning the floor and other things, solutions such as Bacterial Wipes can be used. This solution is a good disinfectant and less harmful. The best cleaning solution for any kind of stain is water and vinegar. The solution is mild and does not contain any fragrance. This solution can be used on any kind of surface, except the tops of quartz counters. For cleaning a wooden shelf, one can use a damp cloth and static dusters for dusting. Both these things avoid the spread of dust in the air. Dry baking soda can remove stains very effectively. The easiest way to clean a glass surface is to spray water. Wipe the wet surface with paper instead of cloth. This procedure cleans the surface effectively. This is a little tricky. 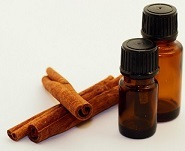 However one can use cinnamon oil for scenting. It can be heated to spread the fragrance in the room. Similarly use different types of oils and heat them for fragrance. These work better rather than room fresheners which can trigger respiratory problems.